There are plenty of reasons why sandals should never be a part of any man&apos;s outfit. Need further proof on why you should toss out your flip-flops? It&apos;s been voted the top fashion mistake men make. 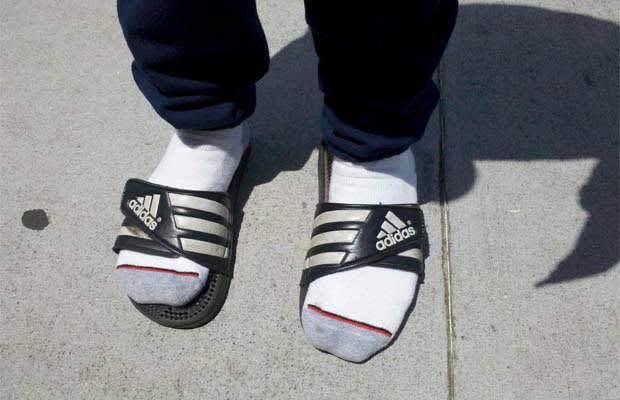 British retailer Debenhams polled 1,500 of its customers to see which they think is the worst “fashion faux pas.” In a list that included platforms for men, low slung trousers, and trucker hats, the most hated of them all was wearing socks with sandals. If you’ve already worn this look to pick up Chinese food for lunch, you get a pass. But if this is part of your regular outfit, you might want to give it a second thought. Below is a full list of what not to do, according to the poll.